The Pippa a large zippered bag designed to be used as a portfolio. It holds a standard sized magazine with ease and can be used to carry important documents, knitting patterns, or even clothes when traveling. 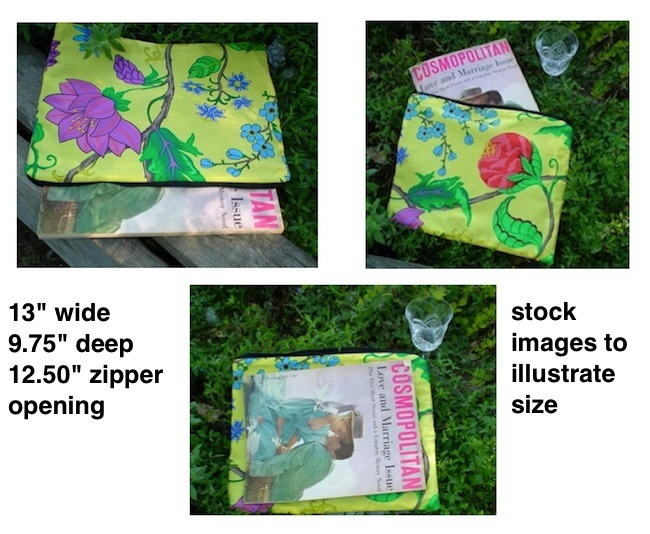 You will find many uses for the Pippa Portfolio and it also makes a wonderful gift. If you don't see any Pippa portfolios below that means I don't have any in stock. No problem I would be delighted to do a custom order for you.